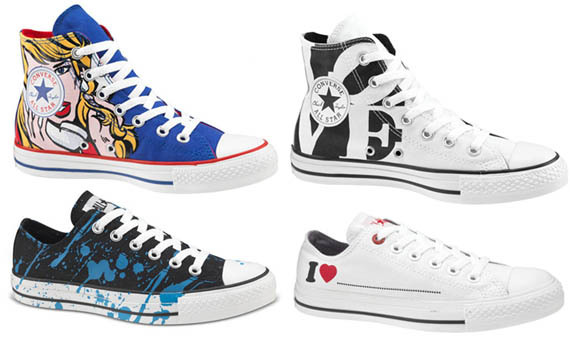 Converse Pop Art Collection draws from some of the pioneers in the pop art movement like Roy Lichtenstein and Robert Indiana. Iconic designs like the LOVE motif, paint splatters and Benday Dots push the limits of what you'd expect to see on a sneaker. what a "must have" collection =). wonder if i could have one. by the way, do you mind telling me other must have pop art collections?